New from my sketchbook. All things Japanese inspired. 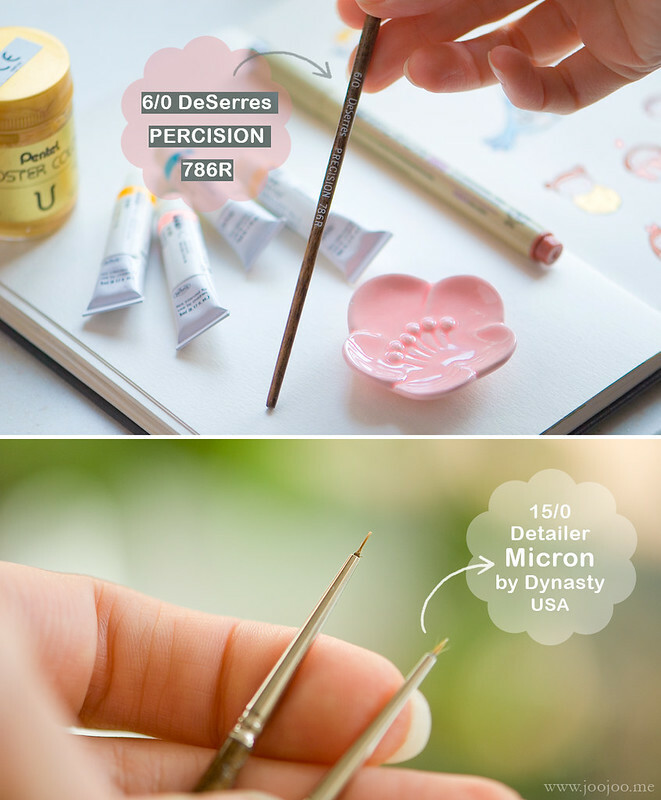 Many people asked me before about the type of brushes that I use for tiny details. I use 6/0 and 15/0 brushes. I always look with so much pleasure at your sketchbook! 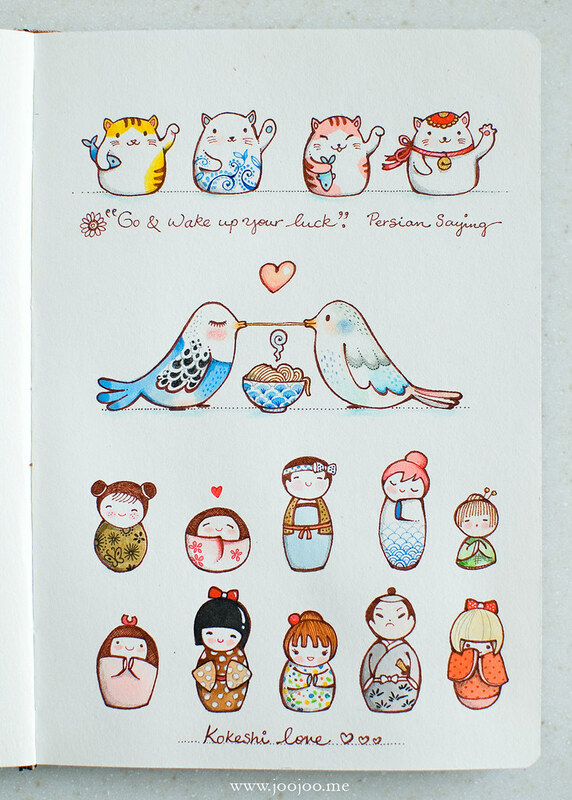 love all things Japanese myself! Oooh those cats are heavenly cute! Dearest sweet Afi, your illustration is sooo beautiful and i specially love the metallic colors and the gold. Thanks so much for sharing the type of brushes you use. Have a lovely merry happy week and love ot you! Wow! I want noodles! It must be delicious with that cute hot steam! What I really love about these birds is their unpointed soft beaks! Ooohhh so lovley! Afi, every and each of these characters have their own personality and it's so much fun to look at them one by one. Thanks for this beautiful images and cute info boxes, I enjoyed them all. Awwww this is amazing, love it ! You're a true artist! Such a perfect little sketchbook! I love your kokeshi's and the way you've colored them. Great job! I LOVE your kokeshi dools, they are so cute !! The last one is my favorite ! Do you sell prints of these ? I also love the 3 little matryoshka ! 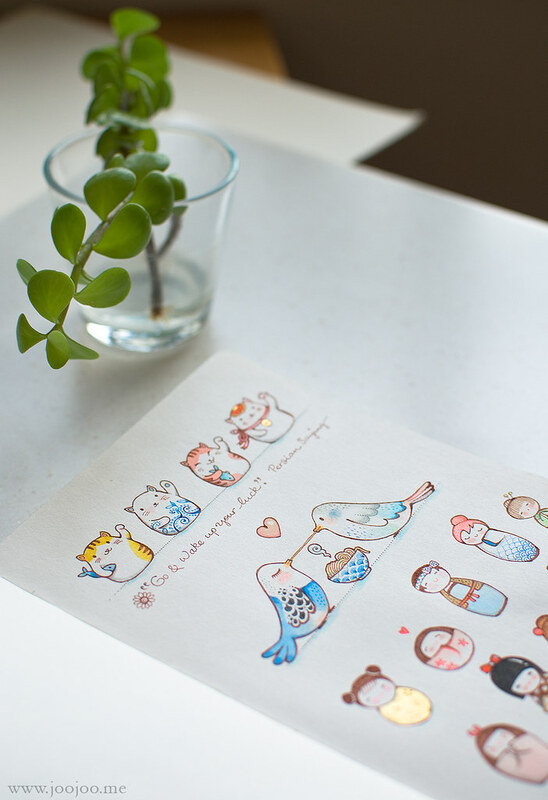 do you mind sharing what kind and brand of watercolour you use? Sure, I use three brands: "Winsor & Newton", "Schmincke" and a Jpananese brand "Holbein Artists' watercolor" or HWC. Here in Canada I could not find Schmincke watercolors, but I think all of these brands are great. I adore your work... So lovely to look into your mind. What type of sketchbooks do you use?